3M Cold Shrink high voltage cable joints and cable terminations have replaced traditional heat shrink as the specification standard for LV-HV cable jointing and terminating in the oil, gas, petrochemical, utility and construction industries. 3M Cold Shrink high voltage cable terminations (QT111) and cable joints (11kV QS1000, 24kV QS2000, 33kV QS111) offer faster, safer and simpler installations without the dangers and hassles of “hot-working” - no naked flames, no gas torches, no ignition tooling, no “hot-work” permit applications. 3M Cold Shrink high voltage cable joints and cable terminations suit single and 3-core polymeric (XLPE, EPR, Triplex) and paper cables (PILC) with copper tape/ copper wire screens, SWA (wire amoured) or SWB (wire braided) up to 33kV. 3M Cold Shrink high voltage cable joints are available for straight, branch, transition, trifurcating and triplex cable jointing applications up to 33kV. T&D distribute utility approved high voltage Cold Shrink cable joints and cable terminations for 11kV-33kV networks including Western Powerr Distribution, United Utilities, Scottish Power, Northern Powergrid (formerly CE Electric - NEDL & YEDL) and UKPN. 3M Cold Shrink joints and terminations allow immediate power restoration during utility fault work, unplanned outages or planned shutdowns – no “curing” or “cooling” delays associated with resin or heat shrink cable jointing. 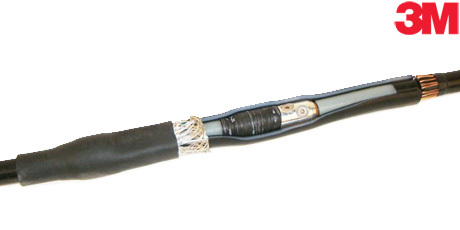 Cold shrink and heat shrink HV cable terminations and cable joints require different installation techniques - heat shrink terminations and cable joints require the skill sensitive use of multiple tools including gas torches, igniters and spare LPG gas cylinders. Heat shrink kits have varying insulation wall thicknesses depending on cable jointer skills - uneven heat shrinking caused by limited working access in cable boxes or cable joint holes produces inconsistent installations. Overheating with heat shrink flames can cause scorch damage to high voltage cables. 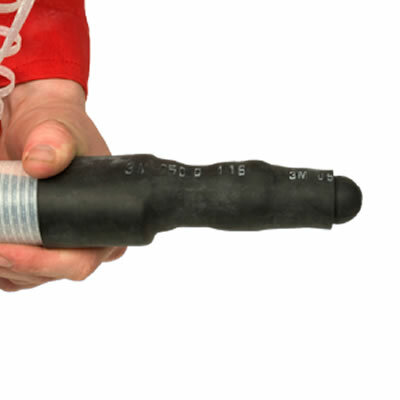 3M Cold Shrink cable terminations and cable joints install with reliable consistency reducing human error scope whilst working on high voltage cables - simply position 3M Cold Shrink over the cable and unwind. Cold Shrink Facts - Cold shrink tubing, like heat shrink tubing, is used to achieve a tight fit around cables and connectors as part of cable splices, cable joints and cable terminations and for bundling cables together for strain relief or protection against the environment. Cold shrink tubing is easier to install than heat shrink tubing, without requiring any special tools or training. Essentially, a cold shrink tube is an open ended rubber sleeve, made primarily from rubber elastomers with high-performance physical properties, that has been factory expanded, or pre-stretched, and assembled onto a supporting removable plastic core. 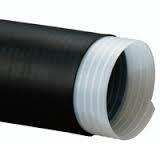 Cold shrink tubing shrinks upon removal of that supporting core during the installation process. The electrician slides the tube over the cable to be terminated or jointed and unwinds the core, causing the cold shrink tube to collapse down, or contract, in place. Once they are installed, cold shrink tubes create a dynamic, compressive environmental seal and electrical interface without sealants and adhesives. The tubes are always "attempting" to return to original size (smaller than the conductor it is on). The constant inward pressure means the cable can be flexed and the seal will not be broken. Silicone cold shrink assemblies are inherently UV resistant and with an additive, EPDM becomes UV resistant. Both are water resistant and good performers in a broad range of temperatures. Cold shrink technology is well suited to outdoor applications as well as to medium and high voltage cable splices, cable joints and cable terminations. Generally, cold shrink tubing is more flexible and pliable than heat shrink tubing. Those qualities allow the cold shrink products to move with the cable as it goes through thermal expansions and contractions - T&D UK carry extensive stocks of 3M Cold Shrink Cable Joints and Cable Terminations for LV and HV cables.